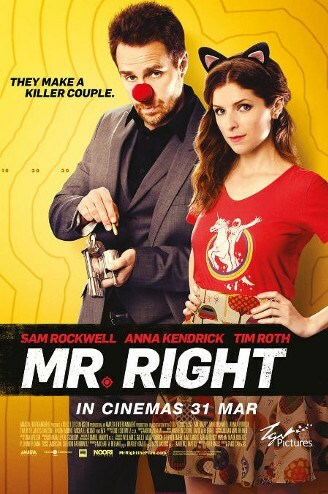 Synopsis Mr Right Movie : Martha (Anna Kendrick) discovers that her new beau, Francis (Sam Rockwell), is a professional assassin… with a cause. He kills the people ordering the hits. As the bodies pile up, Martha must decide whether to flee or join her man in the mayhem.